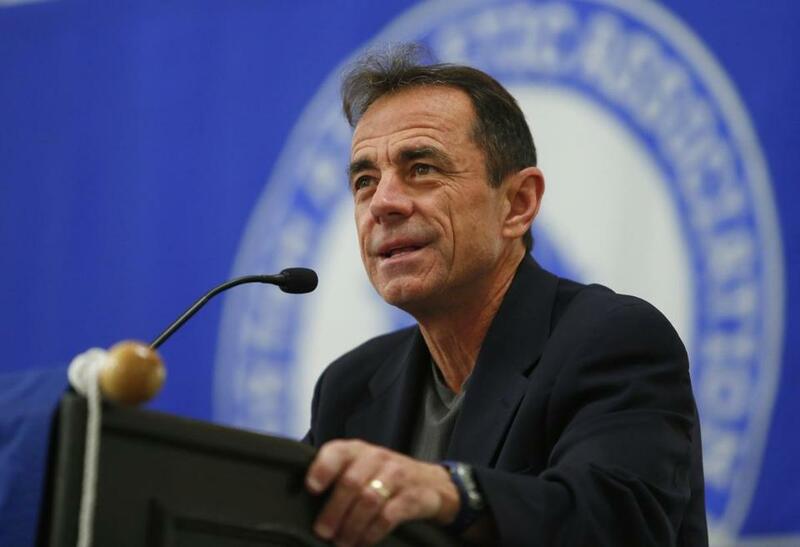 Race director Dave McGillivray reviewed the 121st Boston Marathon at a press conference Tuesday. Despite summery conditions that exacted a higher toll on the competitors who ran the bulk of the race during the afternoon, more than 97 percent (26,411) of the 27,211 starters completed Monday’s 121st Boston Marathon. The heat, which approached 80 degrees, created 6-8 percent more more medical encounters than usual with struggling runners, who numbered 2,596. Chris Troyanos, the event’s medical services coordinator, said that 958 were treated at the course’s 26 stations plus another 1,638 at the two finish-line tents and other locations. Twenty-eight of them were transported from the course to local hospitals, plus another 51 from the finish. Another 136 went to the hospital on their own after they’d been treated. Of those, more than a dozen were kept overnight. The Boston Athletic Association also presented its annual Patriots’ Award for “patriotic, philanthropic, and inspirational” qualities to Meb Keflezighi, who won the 2014 Marathon the year after the terrorist bombings near the finish line on Boylston Street.